Our 2019 Poultry Order Form is available online now! Select a week of shipment - birds usually arrive Wednesday or Thursday of that week. Choose from the week of 4/17/19 (must order by 3/18) or 6/5/19 (must order by 5/6). Delivery day not known for sure until the day we place the order. Click here to place your order. Orders can also be placed at the store. 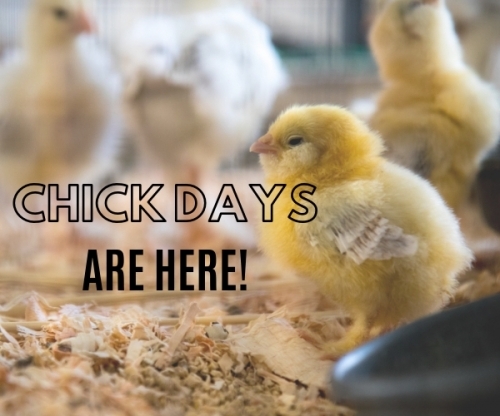 Receive 10% off all Poultry Supplies when you place your order or pick up your order (feed not included).